I recently came across some great illustrations by Stanley Chow while browsing on the From up North design inspiration and news blog. "From up North" appears to have started out as a personal endeavour, and no doubt a marketing tool, for Swedish designer Daniel Nelson. Moving from his personal blog space to its own website, "From up North" is a fantastic amalgamation of 3D design, advertising, painting, logos, photography, print, typography and web design, all under one roof. The article that grabbed my attention was, as I say, abut Stanley Chow. 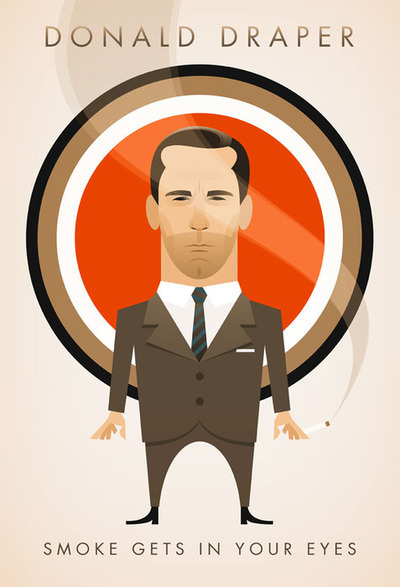 Illustrator, designer and cartoon extraordinaire, Stanley Chow, was born, raised and now works in Manchester in the UK. Typically associated with fashion illustration and storyboarding, Chow has made quite a name for himself by working flexibly across a wide range of platforms from advertising right through to packaging and game animation. The "From up North" article pointed out that Chows work has recently been focused on cartoons and caricatures, of which there are plenty of great examples to see. 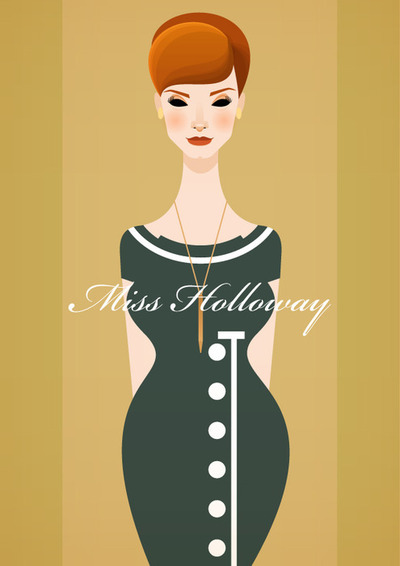 Anybody who is a fan of the series Mad Men and enjoys a bit of 1950's fashion and design will probably enjoy the series of prints that Chow has created, including caricatures of Donald Draper, Joan Holloway and Peggy Olson. If you head on over to Chows own personal website you will see lots of other great examples of his work which include caricatures of super heros like Superman, Wolverine and Wonder Woman, along with movie characters like Morgot Tenenbaum in her tell-tale LaCoste t-shirt. All of the art prints are for sale on the website. I think "From up North" were spot on to do a focused article on this creative illustrator and to highlight some of the great work that he has done over the past few years.